Let your cup be as unique as your drink preference! 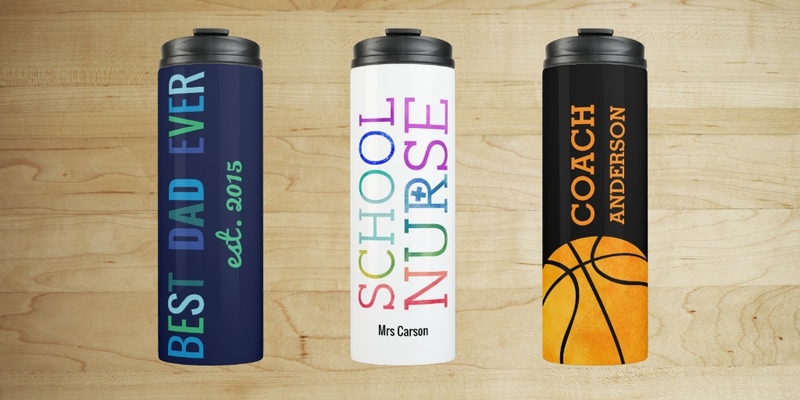 This custom tumbler’s double-walled construction helps keep your warm beverages warm and your cool beverages cold, all while keeping your hands comfortable. The low profile lid snaps tight to help prevent spills and the padded bottom gives extra grip so you can sip safely. The cup measures 2.875″w x 8.75″h and has a capacity to hold 12 oz. of liquid in a sleek cylindrical shape. Made of a stainless steel body, plastic lid, with a sturdy flip top helps prevent spills. This vacuum-sealed double walled construction retains temperature for your hot beverages.